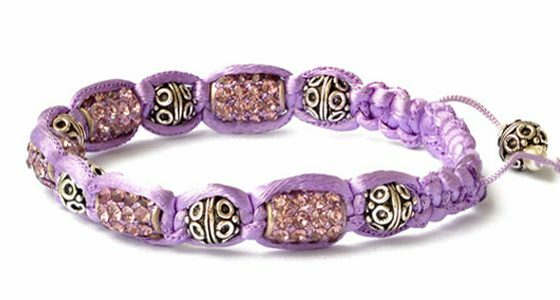 Shamballa Bracelets haven’t been very popular until a few years ago when celebrities started to wear them transforming them into a great hit. The interesting thing about them is the fact that although they look like pretty glamorous bracelets, they are also worn by men. This means that this trend is extremely widespread and has been catching on everywhere. 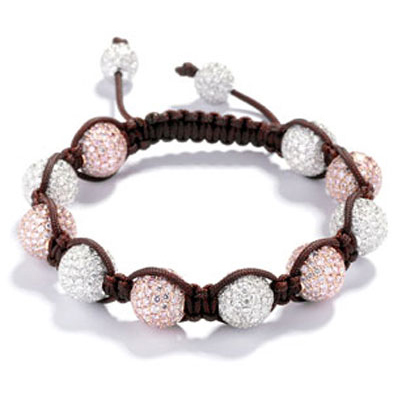 Even more, although Shamballa bracelets have been usually handcrafted by a small portion of people doing handmade jewelry, since they became extremely fashionable, they have been also created by famous brands such as: Tresor Paris and Lucet Mundi, both selling them for a lot more than handmade artists used to. But that’s no impediment for fashionistas everywhere to show off their disco-ball looking bracelets that sparkle in the light. Actually, these man bracelets have been inspired by Budhism, yoga and even Indian mythology however the Shamballa trend started in 1990 in Soho. The founder of the store named it Shamballa Jewels and wanted to create something that was a bit different and looked more like antiques. This is how Shamballa bracelets were created and many people took an interest in them. Many years later, Jay Z decided he wanted something different as a bling and he contacted the company to make him a sparkling Shamballa bracelet. After being seen wearing the bracelet, the popularity of these amazing bracelets rose and everybody wanted one. Women wear them stacked on their hands and men wear them in pairs. The reason why they are so loved is the fact that they can be combined in any colors and they do give that interesting hippie look but also draw attention to your hands. Also, they can be worn easily next to your watch without looking like you are wearing too much. The cool thing about these bracelets is actually the fact that they go well with a casual look or an even more urban, more comfortable look which means they are the best fashion items to wear when you are in desperate need of a cool accessory. Of course, you don’t have to buy one directly from the source since there are so many artists out there that can create one for a very small price.